BRD dancers Vanessa Daines and Miye Bishop. It’s been said that Bellingham, Washington is home to one of the most sustainable economies nationwide. Whether it’s a new salon or produce at the Saturday farmer’s market, Bellingham residents are famous for their taste for all-things local. As Bellingham Repertory Dance gears up for its seventh year of Phrasings in Word + Dance, it’s clear that this same support extends to the nearby dance company. Co-presented by Chuckanut Sandstone Writers Theater, this annual spring show honors National Poetry Month. 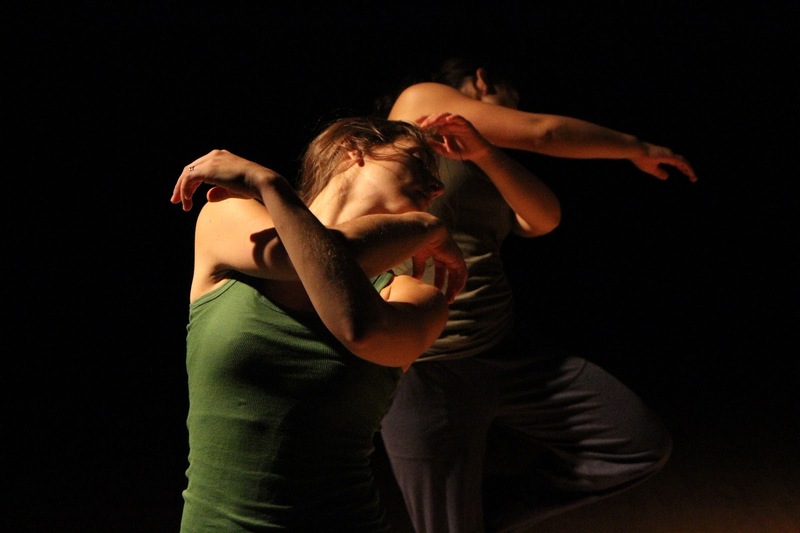 Despite being a repertory company, BRD presents new work each year at Phrasings. Since January, the dancers, as well as guest artists, have been collaborating with a group of writers to develop something new for the stage. There’s no strict formula to this interdisciplinary process, in the past, some writers have simply lent their poems as choreographic fuel. In other instances, the dancers and writers chose to create simultaneously, letting the other’s work inform their own material. Most every year, a writer or two will present their poem aloud on stage during the performance. Among the guest choreographers this year is Fiona Vigdor, a former professional dancer in New York City who worked with Bellingham writer Carla Shafer to create her piece. Vigdor’s dance tells a painful and poignant personal story about her battle with breast cancer, which began just over a year ago. During the creative process, Shafer attended Vigdor’s rehearsals, which helped shape the poem. In return, the writer’s presence in the studio encouraged Vigdor to explore new directions with her dancers. “I hope that the audience will relate to the loss of invincibility and confronting the uncertainty of the future with hope,” said Vigdor. From the more serious to the lighthearted, Phrasings will take audiences through a variety of moods, textures, and tones. Guest choreographer and physical-theater artist Ian Bivins, for example, is known for his often humorous and whimsical collaborations with BRD, as well as the Bellingham-based Kuntz and Company. This year, Bivins’ piece will be based on “the immortal story of Jack and Jill: Two kids had a mission. Something went wrong. Where do they go from there?” While he’s not particularly sure himself, he promises it will be exciting to watch. 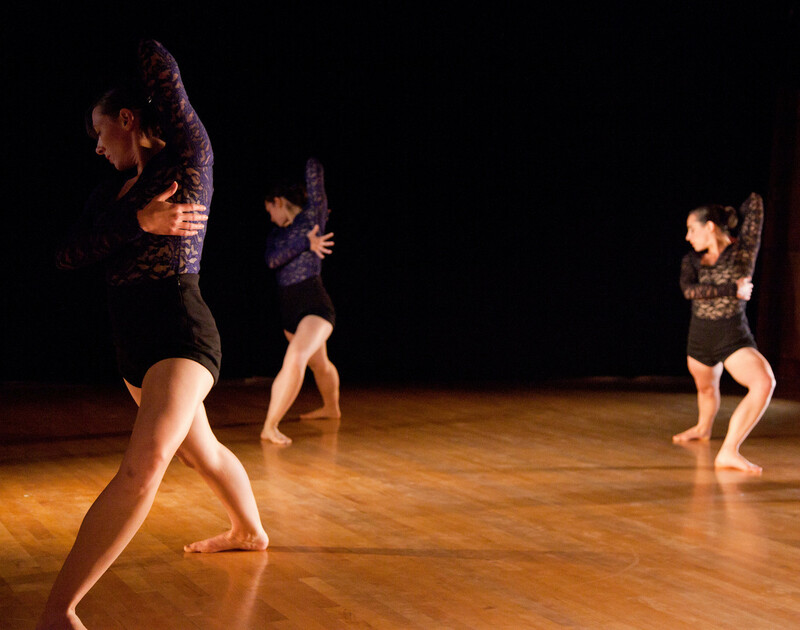 in choreography by Josh Beamish, Artistic Director of MOVE:the company in November, 2013. Photo by Nolan Alan McNally. From Bivins’ more experimental works, to the balletic movement of artists such as Vigdor and her sister, BRD dancer Brooke Evans, this group is known for its diversity. The eclectic style of dancers and works seems to have helped, not hindered the group, adding depth and richness to their performances. Slowly but surely, BRD has been building a reputation for itself in the regional dance scene—garnering praise from critics at the 2012 Chop Shop: Bodies of Work festival, and collaborating with major players such as Josh Beamish, artistic director of MOVE: the company. While originally based in Vancouver B.C., Beamish has recently shifted his focus, working with New York City Ballet’s Wendy Whelan on a dance that will premiere at Jacob’s Pillow festival. in Bellingham’s Fairhaven neighborhood. All proceeds from ticket sales, as well as a silent auction held at each performance, will help the company cover the expenses of its upcoming season. There will be an opening night reception as well as a Q&A session after Saturday’s performance. Tickets are $12 and can be purchased at www.brownpapertickets.com. For more information, go to www.bhamrep.org.